DU Recorder is a very popular Android app that functions as a screen recorder, a video editor, a screenshot and a live streaming application. The app is absolutely free with no in-app purchases at all like how other similar functioning apps do. DU Recorder gives free and high-quality recording experience resulting in very clear and smooth screen videos for the viewer. This application has two recording modes that one can choose from even though the app itself is able to automatically select the best-suited mode based on the device specs. One of the modes is the standard mode which is the most powerful. It is the most recommended mode for devices that have good specs. The other one is the basic mode which is advised for low spec devices as it is more stable and has no pause button. Whether you are working with the Basic or Standard mode, this app provides lots of features and options that you can use to reach your screencasting goals on your Android device. 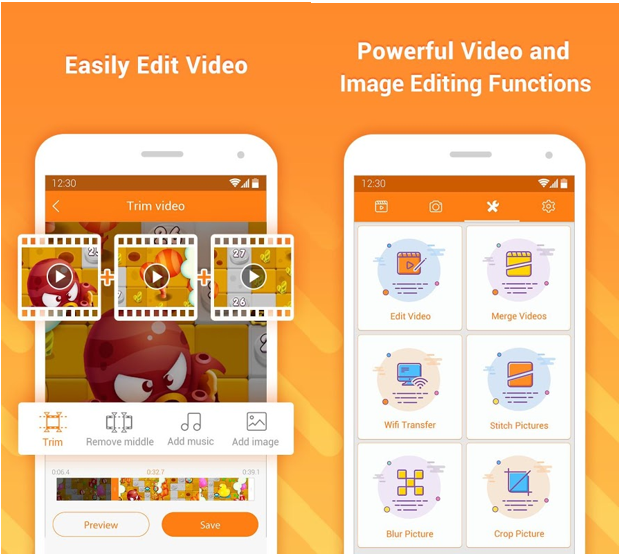 This article will review in detail what this app has to offer as a fully-fledged screen recorder for the Android platform. Without further ado, let us get started with DU Recorder review. This is the main feature that makes DU Recorder get recognized as a screen recording tool. When you install and launch the app, it will run by default as an overlay on the edge of the screen with options to start a screen record, live stream, capture a screenshot and be able to access various settings options to tinker with. 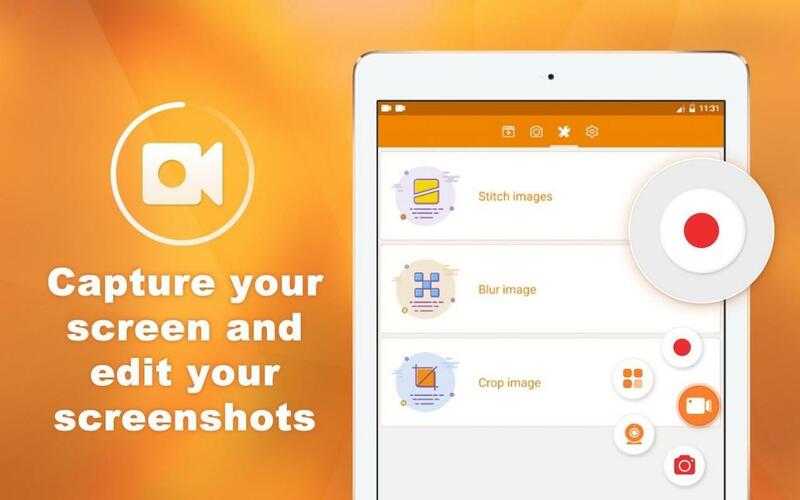 When it comes to screen recording, this app will enable you to make a stable and smooth recording whether it is gameplay, a video call, a live show or even a tutorial. A wide range of resolutions (240p, 360p, 480p, 540p, 720p, 1080p), frame rates (15-60fps), and bitrates (1-12Mbps) are provided to ensure you get the best in terms of video output. You can personalize the recording by capturing the front camera besides recording external audio via the microphone. You can also opt to show clicks as you record or even add watermarks as per preference. An easy way to stop recording is a gesture whereby you just have to shake your device and the recording will stop immediately. This app lets you choose where your captures should be saved be it the internal memory or the SD card. Trimming video to ensure that they fit the intended timeline. In the event you have more than one video that you need to be one, they can be merged to form a single video file. In case the video was recorded without any sound, background music can be added to make the video lively. Video audio can be adjusted as necessary to make sure the viewer finds it audible enough. To enhance understanding and being considerate of the deaf viewers, DU Recorder lets you add subtitles at the click of a button. DU Recorder provides a simple and easy-to-use way of adding intro and outro for the recorded video. When you record a vertical video, the blank sides can be easily filled using a background image. The video speed can be adjusted as per preference and goal at hand. You can rotate and crop video with DU Recorder as you may find fit for the final output. Crop video to remove unwanted parts or rotate to display specific content in the right way. This Android app also empowers you with an option to directly convert videos to GIFs for easy sharing. In case the computer and device are both online, you can easily transfer media from the phone to the computer via WiFi. Resolution settings to ensure you are live streaming at the highest quality possible. A range of privacy settings to determine who has access to the stream. An option for real-time audience interaction in terms of comments. An option to include yourself in the live stream using the front-facing camera. 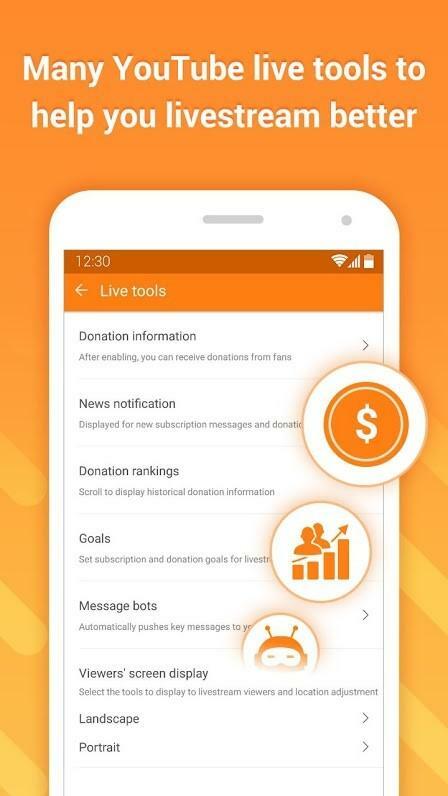 Include live tools like donations and subscriptions at the click of a button. Stitching images – Different images can be joined together seamlessly to form a single entity to deliver information as one and make sharing less tedious. The images, for instance, can be a series of screenshots describing a single item. Cropping images – This app allows for the cropping of captured and local images to remove unwanted parts before sharing. By cropping out certain areas of a photo, you will be able to show the video just what you need them to see. Blur tool – When cropping does not fit as an option to hide sensitive information and unwanted parts of an image, the blur tool comes to the rescue. You will be able to hide sensitive areas without cropping out large chunks of the image. DU Recorder comes with extra options including; a brush as an annotation tool, ability to record the screen as GIF, no recording limit, ability to pause recording during incoming calls, countdowns to keep you alert, possible orientation locks, and the ability to hide recording window and button on the homepage. With this review, it is very evident that this app is definitely superior in what it has to offer as a free app.